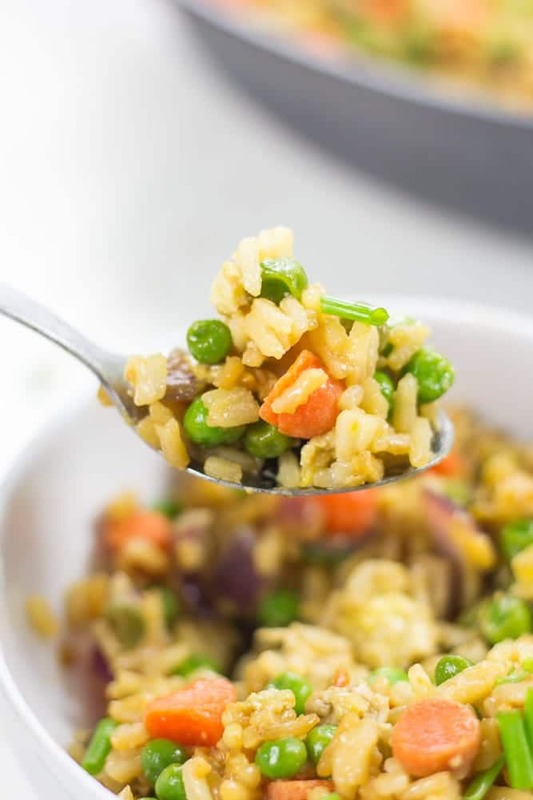 Gluten-Free Fried Rice made easy – basic ingredients you already have come together to make this simple staple dish right now. 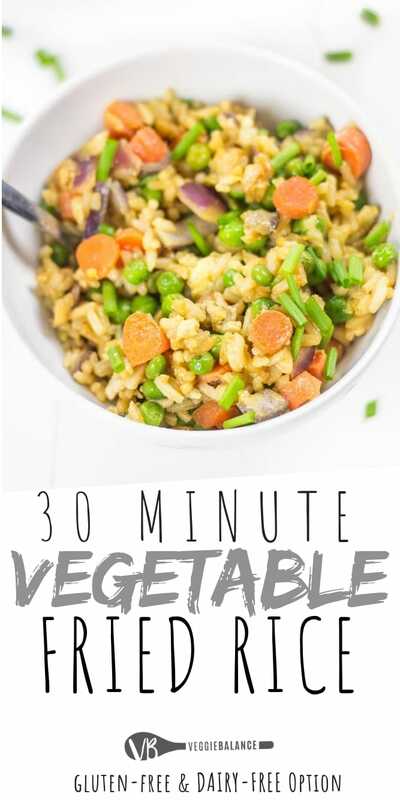 Try our take of Vegetable Fried Rice for a quick and easy dinner under 30 minutes. It’s about time I share with you my all-time favorite way to eat vegetable fried rice. 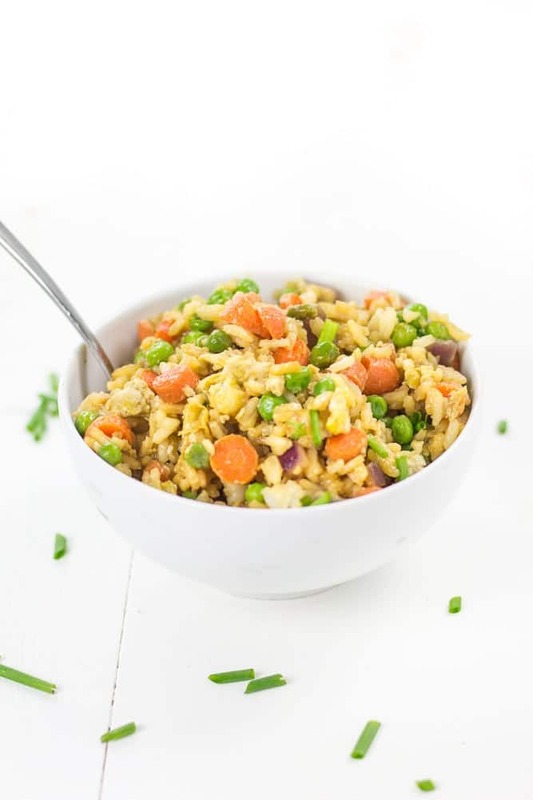 Vegetable stir fried rice is a basic weeknight staple dish I make all the time just because it is so easy to whip together – it just so happens to be irresistibly tasty as well! 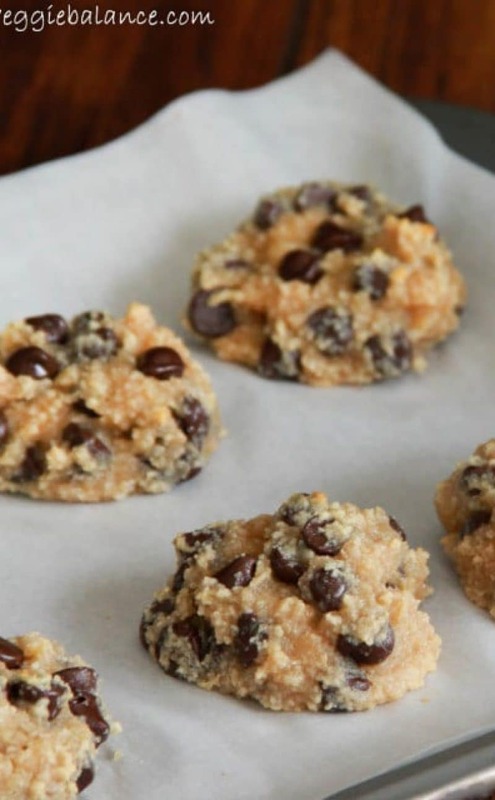 Uses ingredients you likely already have in your pantry and fridge. 6 Ingredients to be exact. // Balllerrrrr. No sesame oil, peanut oil, none of that nonsense. Frozen Veggies! 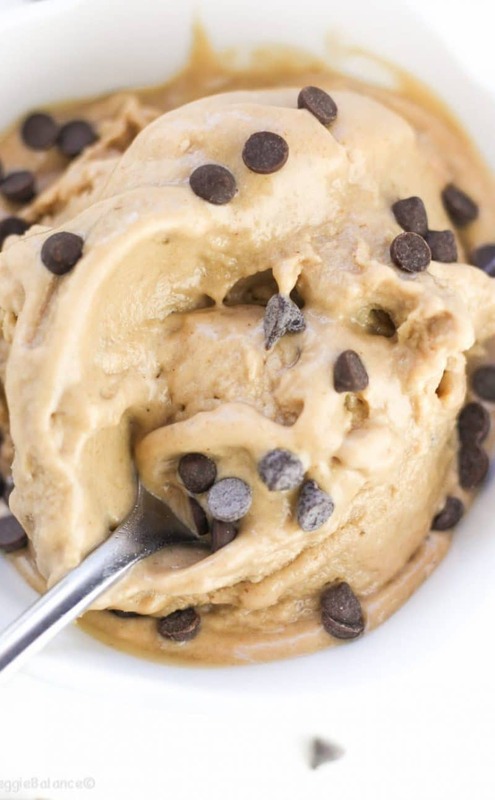 Again, something you likely have hiding in the freezer! This easy dish is perfect for when I’m craving fried rice but don’t feel like ordering it. 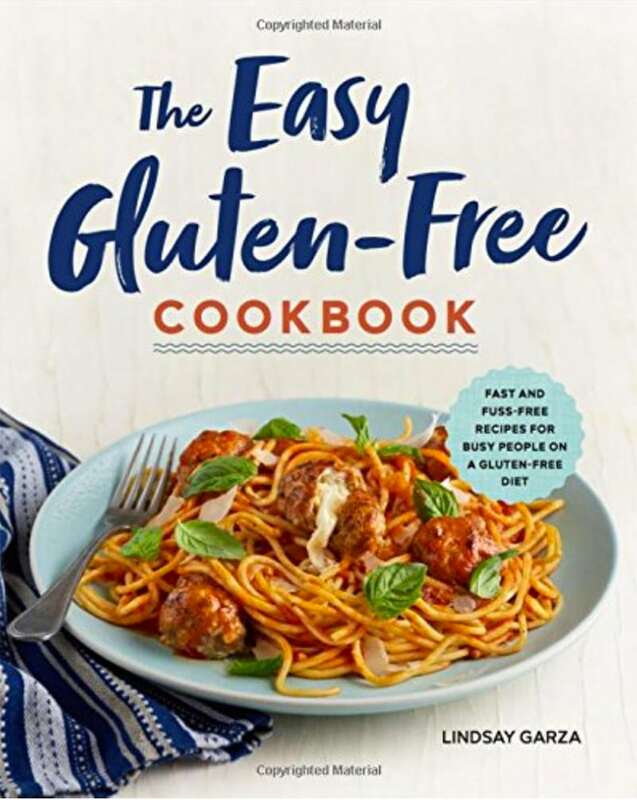 Also, to this day I have not found a great gluten-free Chinese restaurant near me so it is easier to make this at home. Using these oh-so-fabulous simple ingredients, you too can quickly whip together this comforting and filling dinner. BONUS: Makes amazing leftovers! If there is any left over, that is. 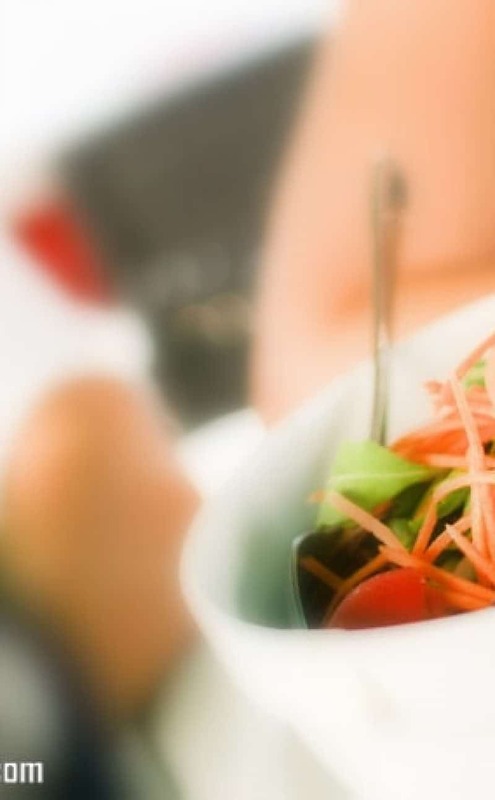 I grew up loving vegetable fried rice – everything about it from little hunks of veggies to the tiny slices of scrambled egg. Heavennnnnnnnnn. 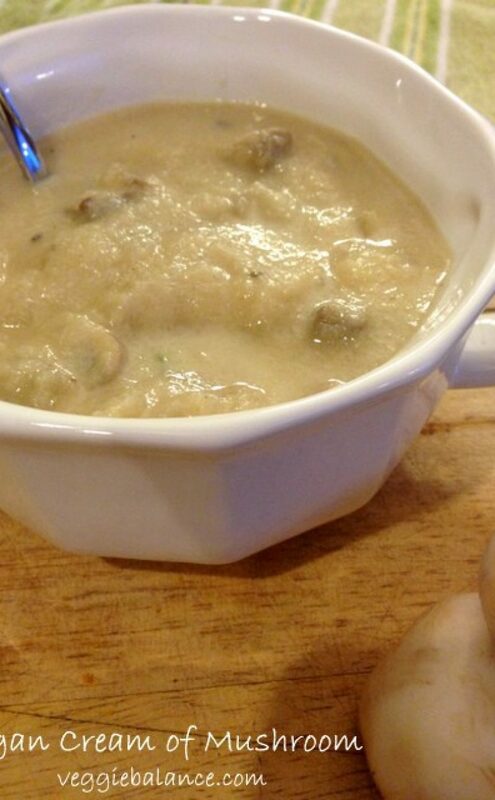 Finding a way to make this dish at home with simple ingredients was essential to me. I always have frozen peas, fresh carrots and eggs in my fridge. Is this the most authentic vegetable fried rice recipe ever? No. Does it taste freakin’ amazing and almost identical to restaurant fried rice? Absolutely!. There are standard fried rice ingredients I never have on hand -Sesame Oil and Peanut Oil. What I DO have on hand? Butter and gluten-free soy sauce, of course. For the oils I never have on hand (Our peanut allergy friends REALLY don’t need/want used in their fried rice anyways!) I use a little olive oil and butter. TIP: Stirring in day-old white rice actually works the best! 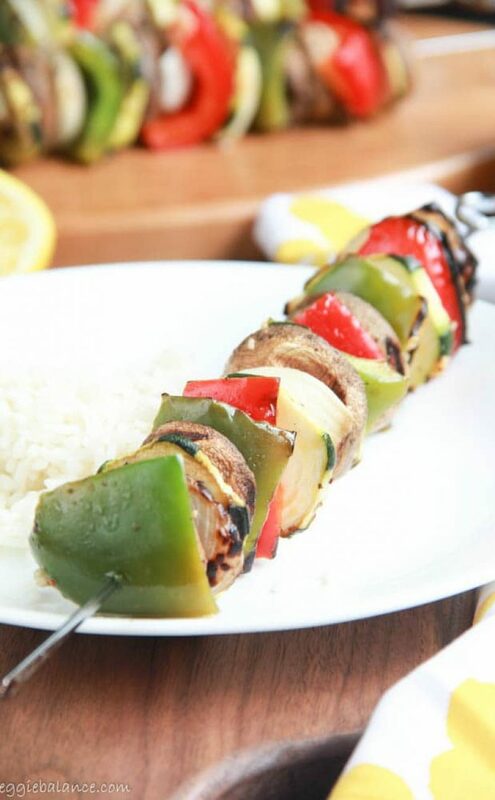 Easy, quick dinner packed with veggies and protein. For whatever reason this simple recipe might appeal to you, I think we all can appreciate an easy dinner ready in 30 minutes using ingredients we already have on hand to satiate our vegetable stir fried rice craving. Items You Might Need for this Veggie Fried Rice recipe. 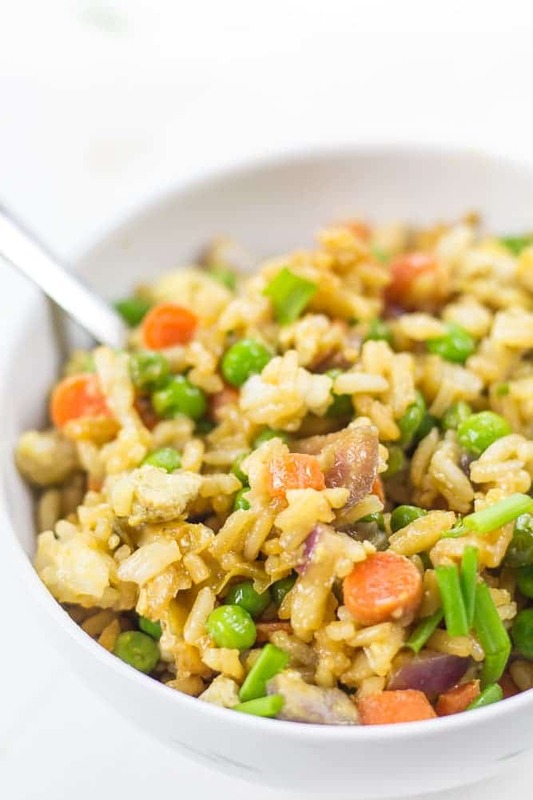 Gluten-Free Fried Rice made easy - basic ingredients you already have come together to make this simple staple dish right now. 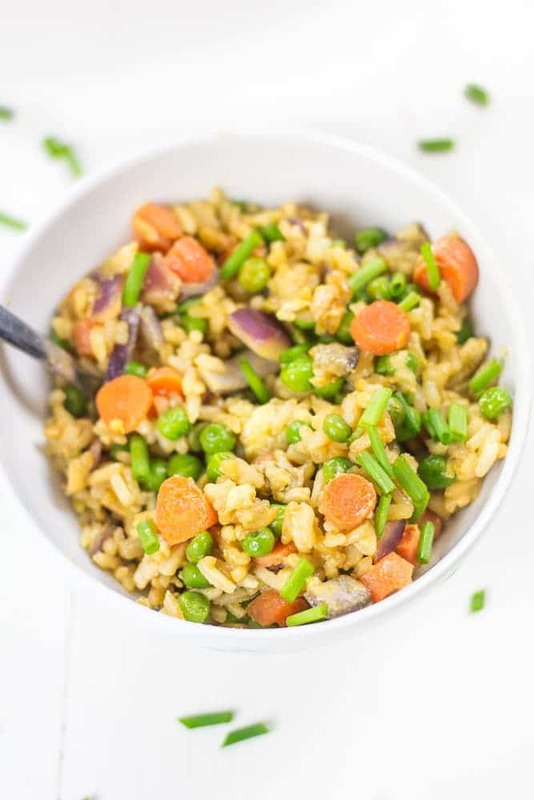 Try our take of Vegetable Fried Rice for a quick and easy dinner under 30 minutes. In a large skillet over medium heat. Add olive oil, onion, carrots, peas, garlic powder, ground ginger, salt and 2 Tablespoons soy sauce. Cook for 3-4 minutes. Push all veggies to one side of the skillet. Add 3 eggs to the open side of the skillet. 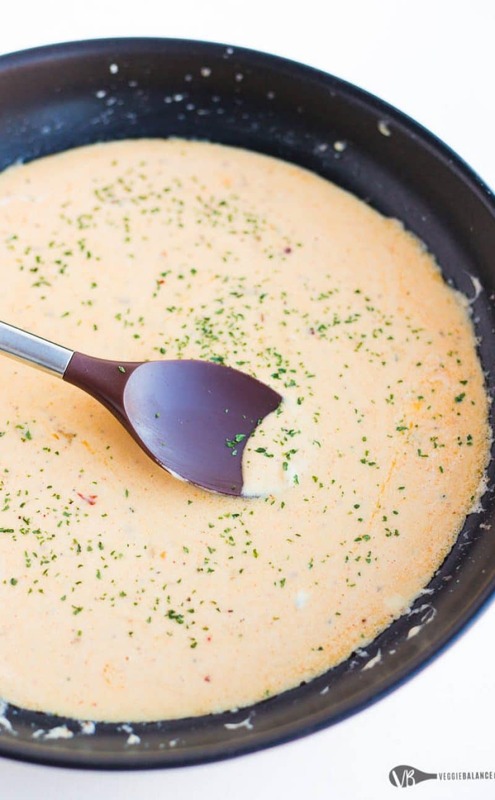 Scramble eggs and cook for 3-4 minutes. Stir scrambled eggs into veggies. Add cooked rice, remaining soy sauce, and butter. Stir fry for 1 minute. Remove from heat and serve immediately. This sounds great but that sodium level is off the charts at 1240! For me I will be leaving out the 1/2 teaspoon of salt and that extra 2 tablespoons of soy sauce. I think just working with the 1/4 cup of soy sauce will be enough for me. Can’t wait to try it! 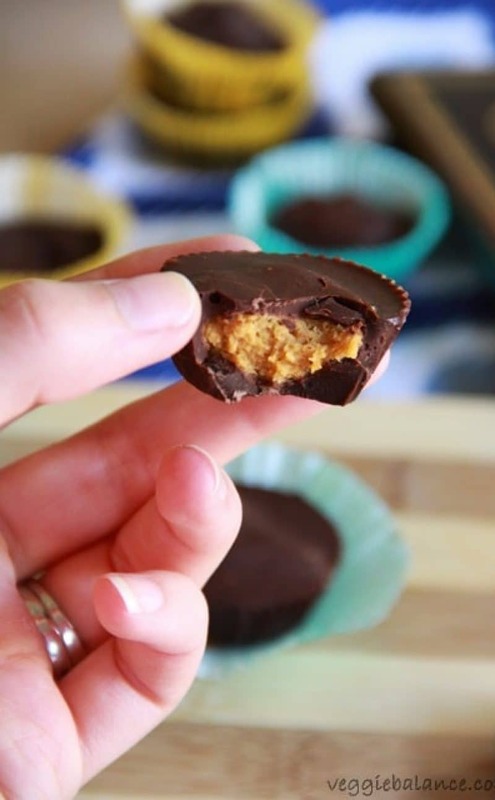 I’m going to make this today! But FYI, soy sauce is not gluten-free. Never said that normal soy sauce was gluten-free? 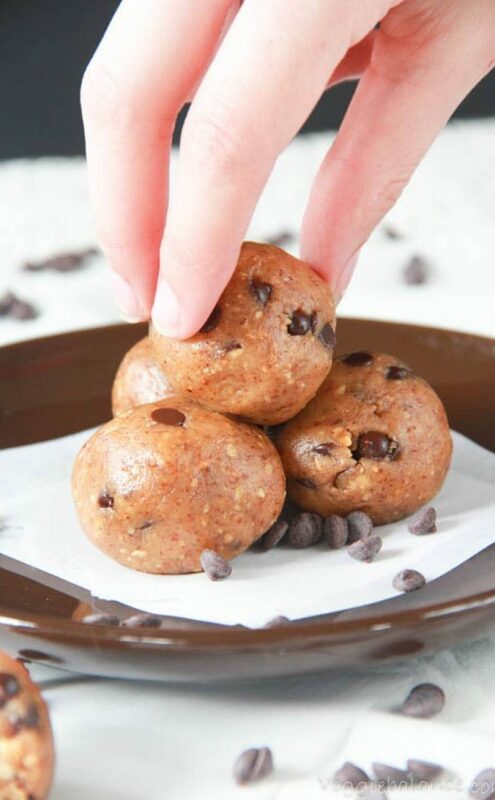 We link to a gluten-free soy sauce in the recipe for that reason. Might not be a bad idea to specify for anyone new with this way of eating though. I actually made myself sick multiple times with normal soy sauce way back when I was first diagnosed. We’ll specify lol.